1. It's cold and wait, this is Alabama and it is May....so it is HOT and HUMID!! 2. I love the smell of tomatoes, right as they are pulled from the vine. 3. My favorite health and beauty product is Philosophy Supernatural tinted foundation primer. LOVE all the Philosophy products!! 5. Well, first of all, I shouldn't have worried!! 6. Me and someone I didn't recognize, those were the cast of characters in a recent dream and it was GOOD!!!!! 7. And as for the weekend, tonight I'm looking forward to relaxing, watching the final Tonight Show with Jay, tomorrow my plans include hopefully a bit of yard work and Sunday, I want to knit (of course) and bake cookies. I just can't stop with the socks.....I am totally hooked on socks. 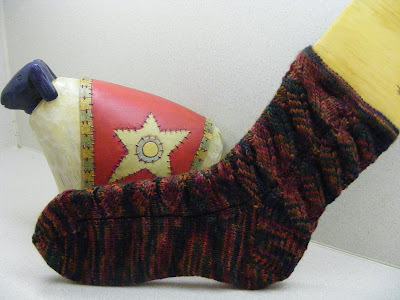 I think about other knitting....quite frequently...but just keep coming back to socks. 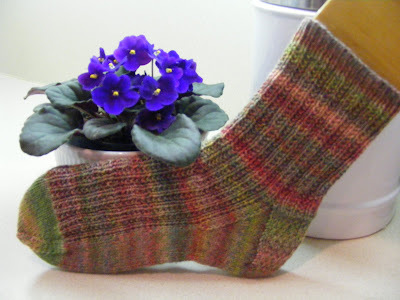 Here are My Top Ten Reasons for knitting socks. 9. Shopping for sock yarn is stress free....you typically buy one skein, no calculating yardage, weight, etc. 8. Portable, you can shove in your purse and take ANYWHERE. 7. There are unlimited sock yarns available. 6. There are unlimited sock patterns available. 4. 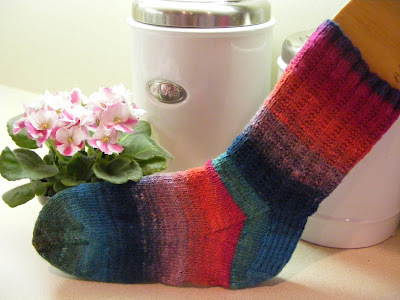 Socks save energy.....wearing woolen socks keeps your feet warm and warm feet = warm body = lower thermostat setting! 3. The money you save on your power bill allows for extra sock yarn purchases! 2. 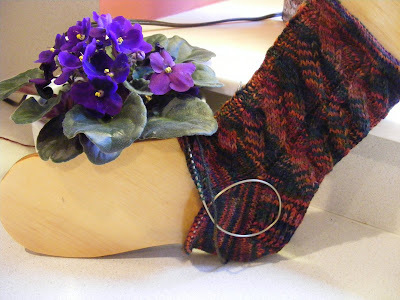 Knitting socks in public creates quite a stir.....especially when knitting with DPN's. 1. And the NUMBER ONE reason I like knitting socks........it makes me happy!!!!!. 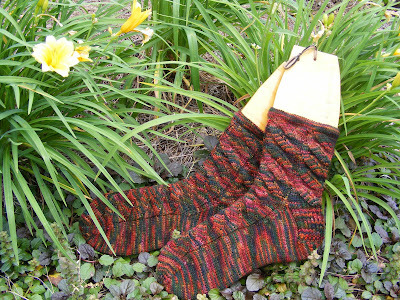 Nutkins knit with Frances Patrick sock yarn, Deepest Forest color. Bubblewrap socks by Sock Bug!! What a FUN knit!! Knit with The Unique Sheep sock yarn, Geranium color. 1. Moving on/forward is the best direction to go. 2. I wish yarn were free. 3. My best quality is ...hmmm....do I have any??? LOL!! 4. It is all in the details. 5. In nearly 10 years, I have lost and gained the same 20 lb. MANY times!!. 6. Winning the lottery is what I need right now! 7. And as for the weekend, tonight I'm looking forward to having a nice dinner at home , tomorrow my plans include coffee and knitting with some buds and Sunday, I want to knit or SPIN if my fleece arrives in time!! Whiskers On Wednesday AND FO!! A Whiskers On Wednesday post.......by me.......shocking I know. Seems as though the cats haven't done anything (or sat still long enough) to get any pics for this post in awhile. This picture just seems to describe these two to a "T". Heidi being...well Heidi, just a big old duffus cat....doesn't care what she does or how she looks doing it....Bella (aka QUEEN Bella)...on the other hand is FAR too superior to be caught...ahem.....grooming any of the "unmentionable" areas....you might occasionally catch her delicately licking one of her dainty paws...but that is it. She is WAYYY too regal to indulge in anything so mundane as bathing in public....EGADS!! 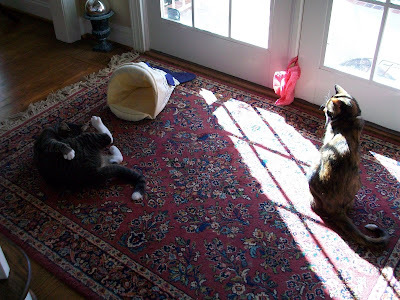 Bella prefers to bask by herself in the sun, although Heidi frequently bashes her quiet time with such vulgar, public displays as below!! LOL!! AND.....there's a new Baby Mama in the hood!! 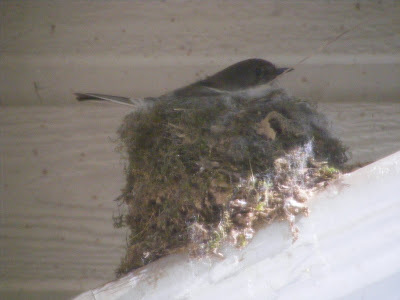 Shortly after the baby birds left a NEW Mama bird staked her claim to the abandoned nest. She did a bit of housecleaning, brought in a bit of her own nesting material and has been on the nest ever since. Considering how high in the nest she is now sitting, I'm betting the eggs have hatched!! Off my needles: The Nutkins socks.......still slowly, ever so slowly working on the Ophelia....but I am just not enjoying this knit!! Indulge me.....because sometimes a girl has just got to share!! 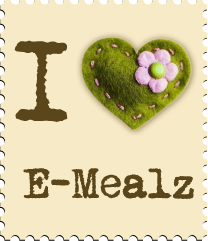 First of all......If you haven't heard of Woolgirl.com...Bless Your Heart and get over there ASAP!!! I am not sure if I found Jennifer's blog first or her shop ,Woolgirl.com, but both are so wonderfully entertwined I guess it doesn't matter which came first!! I have shopped a lot.... a LOT..... I meant to say a LOT of yarn shops in the past few years.....and just felt like I would be remiss if I didn't take a minute or two to share what a wonderful experience it is to shop with Jennifer!! Jennifer's blog is a joy to read, her pictures are always very enticing, her photographic skills show yarn, knittng projects as well as non knitting related subjects all to their best advantage!! Not to mention, as a Schnauzer owner ....I am always tickled to see pictures of Abby, Jennifer's schnauzer!! Don't get me wrong, when the mailman throws a box of yarn on the front porch and rings the bell.....my heart always picks up....YARN.....at my DOOR...Woo Hoo!!! BUT......when you order from Woolgirl you are always in for a treat!! Despite knowing what I have ordered, it is so much fun to open the box!! Everything is individually and carefully wrapped in colorful tissue paper, enveloped in a clear plastic sheath and tied with ribbon....like a colorful, shiny, classy gift, waiting to be peeled open, layer by layer!! The joy I get from "opening" a package from Woolgirl just can't be beat!! There is always a hand written note and a special "treat" included with the order....it might be wonderful chocolates, a beautiful stitch marker, but ALWAYS something yummy and/or useful!! Despite the state of the economy, I am blessed enough to be able to indulge my desire to buy yarn from time to time....(albeit not like I have in the past)...but you can rest assured that when I buy....Woolgirl.com is my first choice to shop!!! The obvious care and time that goes into each package I have received is GREATLY appreciated and should be duly noted that this is one business that truly cares about their customers!! 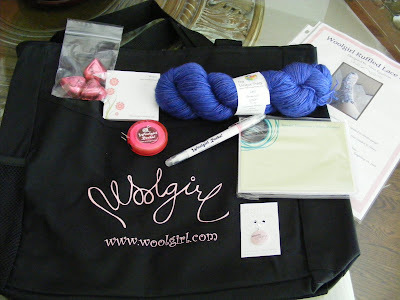 Today I received a surprise package from Woolgirl.com!!! The Woolgirl Club!!!!! You won't believe the page long list of "perks" of being a club member!! A really GREAT bag!!! 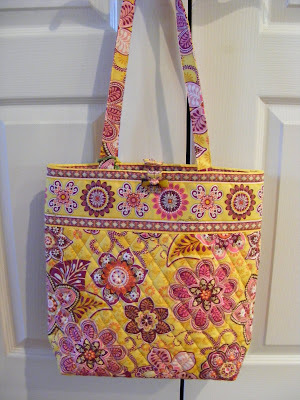 (And what knitter doesn't love a bag?? )....tape measure, sticky pad (great for holding your place in a pattern)....highlighter/ink pen, note cards, stitch marker, AND.......Unique Sheep sock yarn with pattern!!! OH MY.....the yarn is the most BEAUTIFUL shade of periwinkle which just happens to be my most favorite color!!!!!! Now.....GO.....SHOP!!!!!!!!!!! Do your part to stimulate the economy!! It has been a week........not a lot of knitting, thank goodness for Friday Fill Ins!! LOL!! 1. If we had no winter, how could we possibly appreciate the miracle of Spring? 2. PEOPLE are a perpetual astonishment. 3. If I had my life to live over I would have taken better care of myself!! 4. A lot can be accomplished inside of four and twenty hours...(if one isn't interupted). 5. If you've never been thrilled.....then what is the point??? 6. To be interested in the changing seasons is exciting...I love the anticipation of all that comes with each season...the holidays, the weather itself. I love it all!!!! 7. And as for the weekend, tonight I'm looking forward to knitting on a vest that I am not interested in knitting, I want the vest, but tired of knitting it , tomorrow my plans include working on the abyss we call a basement and Sunday, I want to veg out, and try to knock out a large portion of the vest I am so not enjoying knitting!!! One Nutkin down, one to go. One Twin Rib sock, knit with Trekking XXL, been marinating in my stash for at least a couple of years!! 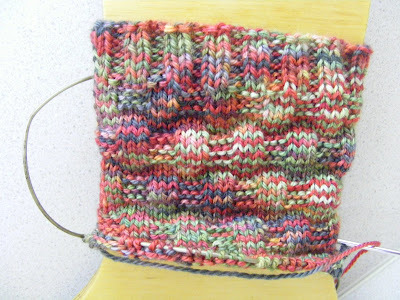 Garter Rib Sock, knit with Noro sock yarn...which I H.A.T.E., but for whatever reason, will not allow my self to get rid of!! Bubble Wrap Sock Pattern, knit with Unique Sheep sock yarn, Geranium color. IF it will ever stop raining I will take some pictures outside as opposed to being forced to make pics in the kitchen, with the awful under counter flourescent lighting!! 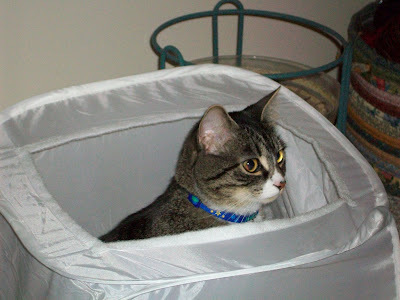 Ophelia: She is still in the basket....I just do NOT like knitting garments. I guess I am going to have to force myself to knit one row a night...FIRST thing before allowing myself to pick up the socks!! knitting bag....something "Sunny" they said!! What a sweetie to help out the pets this way!!!! MWAH!!! I LOVE it!!!!!!!!!!!!!!!!!!! (Thank you VERY much....totally NOT necessary....but VERY much appreciated)!!!! 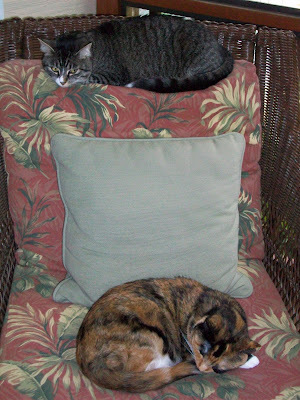 Well.........it's no Pile-O-Kitties, but it is the closest these two have been for more than just a second or two. (Not that this heart warming scene lasted very long). Bella didn't immediately realize that Heidi had assumed the "superior" position ....but didn't take long!! Bella IS the Queen after all!! Heidi LOVES my light cube!!! I HATE that Heidi loves my light cube!! 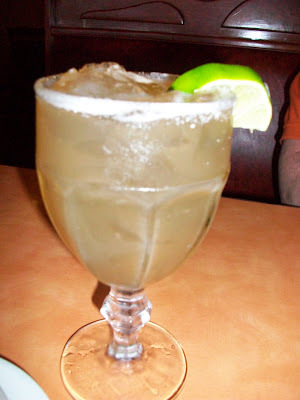 Cinco de Mayo!! Ahhhhh......I do love the Holidays!!! LOL!! It was a funny (not in a ha ha kind of funny).....sort of weekend. Like being here....but not really....just a strange feeling. We attended a wake for a friend we had not seen in several years, on the very day he would have turned 55. Dodged some very bad weather on Sunday.....with a bit of knitting thrown into the mix. 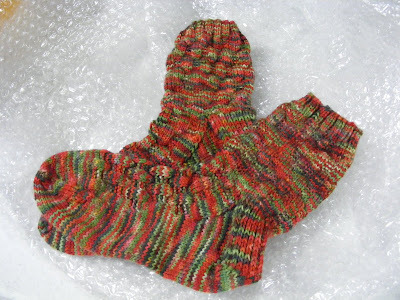 Nutkins Socks: Knit with Frances Patrick sock yarn in Deepest Forest (HA....bet you thought I had already lost the ballband)! 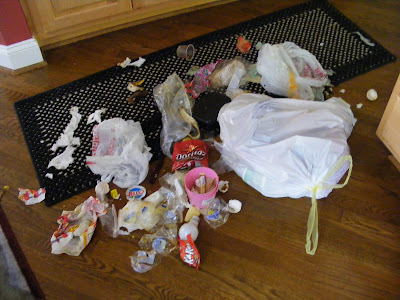 And NEVER underestimate the amount of time it takes for an old, arthritic, BLIND, dog to sniff out the bag of trash and COMPLETELY destroy it!!!! Thank goodness for floor steamers!!! 1. The first rule of working in an office and getting along is knowing who to give the cookies to. 2. I have never eaten fresh clams. 3. When I think of carnivals I think of how excited I was when the County Fair came to town.....the thrill of seeing the lights glowing in the sky long after driving away.....how many poor goldfish I "won" by throwing a ping pong ball into a bowl of water and how I don't think a single fish ever lived beyond a day....cotton candy.....corn dogs....corn on the cob!! 4. Jonquils (as my grandmother called them) are my favorite spring flower. 5. Things on my desk include, glasses (reading), zillion patterns scattered about, stapler, bills...uhmmm this could get long if I include everything on my desk. 6. People that waste their entire lives never able to look past themselves to see how truly blessed they are makes me wanna cry.....especially when they had a good life ....and then they die young. 7. And as for the weekend, tonight I'm looking forward to spending some down time with my hubby, tomorrow my plans include chilling, cooking some comfort food and Sunday, I want to spend the day knitting! Lover of all things fiber related: knitting, spinning, collecting yarn. Rediscovering my love of 35mm photography in the digital world. Household includes: One Husband, one mini schnauzer, 3 kitties, 2 spinning wheels, more yarn than I will admit to.